The head of a newborn infant is quite pliable, allowing it to pass through the birth canal easily and grow rapidly throughout the first year of life. Brain growth continuously pushes against the bones of the skull to expand the head until the fibrous connection between the bones (sutures) begin to fuse between 18 and 24 months. Many infant heads have some degree of asymmetry. In some cases, the infant’s head resumes a symmetrical shape by six weeks of age. Abnormal head shape beyond this period may indicate a condition requiring further medical observation and/or treatment. Ear alignment may be affected with any deformity, and the infant may also have facial asymmetry. Several treatment options are recommended including repositioning techniques to move the infant off the flattened area of the head, physical therapy to stretch tight and/or weak neck muscles, and treatment with a cranial remolding orthosis. When parents first notice that their infant has unusual head shape, they often bring it to their pediatrician’s attention. At that time, the physician encourages repositioning ad evaluates head circumference measurements, asymmetry, and tightness of the neck musculature. If repositioning and/or therapy are not effective, the pediatrician may refer the infant to a pediatric neurosurgeon or plastic surgeon for further assessment. The specialist will conduct a physical examination and may order diagnostic tests (i.e., X-ray, CT scan or MRI) to rule out synostotic (non-positional) plagiocephaly. This condition is characterized by an abnormal head shape caused by premature suture closure, not external forces, and may require surgery to obtain correction. Cranial remolding orthosis cannot be used to treat synostotic plagiocephaly, but may be used after surgery for protection or to direct the head into a more symmetrical shape. The incidence of positional plagiocephaly has increased due to the recommendation that parents place infants on their back or side to sleep in order to prevent Sudden Infant Death Syndrome (SIDS). Infant seats, car seats, and other supine (back) positions place them at risk to develop greater flatness and/or asymmetrically shaped heads. In 1992, the American Academy of Pediatrics (AAP) published the results of a multi-national investigation which studied the relationship between infant sleeping position and the frequency of SIDS. In the report it was recommended that infants sleep either on their back or side in order to reduce the risk of SIDS. Following the publication of this report, craniofacial centres around the world have observed an increase in the number of children presenting with abnormal head shapes. As many as 85 per cent of the infants with positional plagiocephaly also have torticollis. This condition is caused by tightness or weakness on one side of the sternocleidomastoid muscle in the neck. When one side of this muscle is shortened, the infant’s head bends forward, tilts towards the shoulder on the affected side, and the face rotates toward the opposite shoulder. This muscle tightness or imbalance causes the head to rest consistently on the same position, creating areas of flatness on the back of the skull and compensatory growth in other areas of the head. This process of deformation happens quickly in young infants because of the softness of the skull and flexibility of the sutures. Other factors contributing to the development of positional plagiocephaly include premature births, multiple births, restrictive intrauterine positioning, birth trauma, and cervical spine abnormalities. 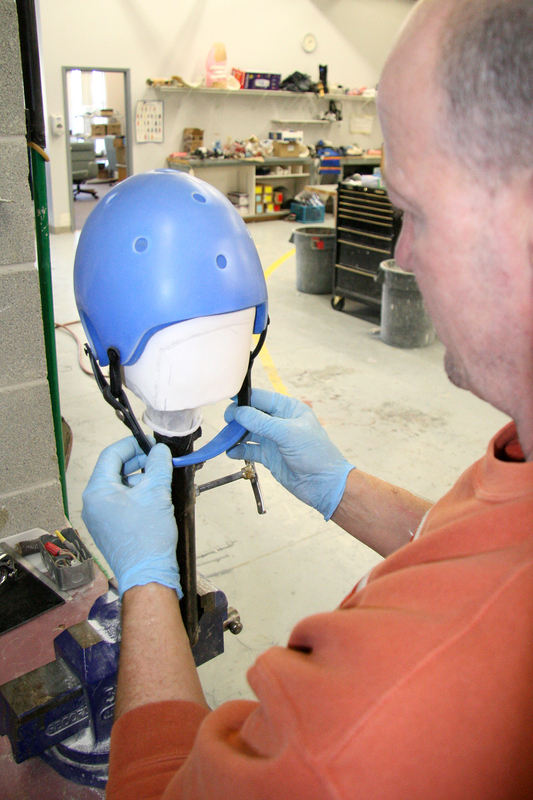 The orthotic treatment program focuses on redirecting cranial growth towards greater symmetry. This is accomplished by maintaining contact over the areas of bossing or protrusion and allowing room for growth in the areas of depression or flattening. Progressive adjustments over the course of the treatment program accommodate growth and ensure outcomes. A custom orthosis is manufactured from a model of the infant’s head to obtain optimal fit and function. The rigid outer shell maintains the structural integrity of the design and is lined with closed cell foam to allow progressive adjustments and promote hygienic conditions. The side opening on the helmet makes it easy to apply and remove, and allows adjustment to the circumference as the infant’s head grows and changes. The initial visit includes a thorough patient evaluation, gathering of patient history, clinical photographs and discussion about the treatment process. It may be necessary to verify insurance coverage prior to initiating the treatment program, so another visit may be scheduled for the casting procedure. It is important that no more than two weeks pass between the time of the casting and the initial fitting of the orthosis. If you are ready to begin immediately, the Orthotist will make an exact duplicate of your infant’s head from a plaster impression. The casting procedure takes about 15-20 minutes. This procedure is not harmful or painful, although the infant may become fussy during the process. A cotton stocking is placed over the infant’s head with an opening for the face, A series of plaster strips are applied from the eyebrows to the base of the neck, along the sides of the head covering the ears, and then along the sides of the face. 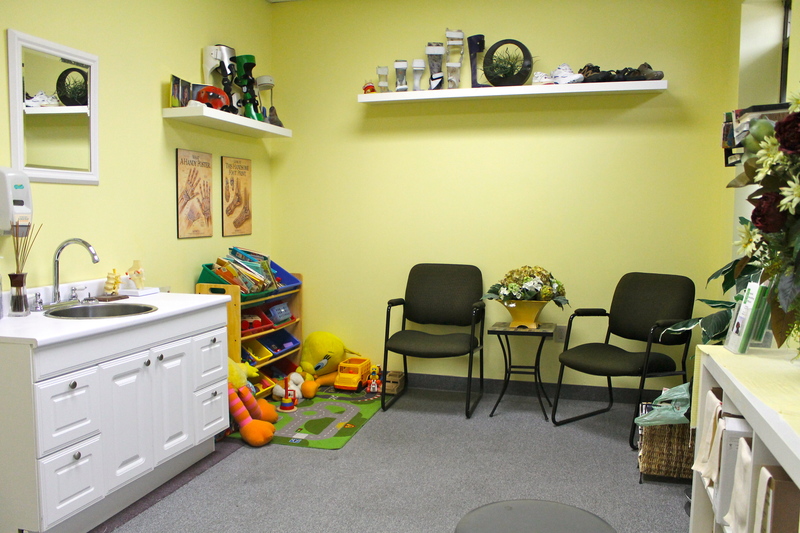 It is helpful to bring a bottle, favourite toy, or even another person to help distract the infant during casting procedure. 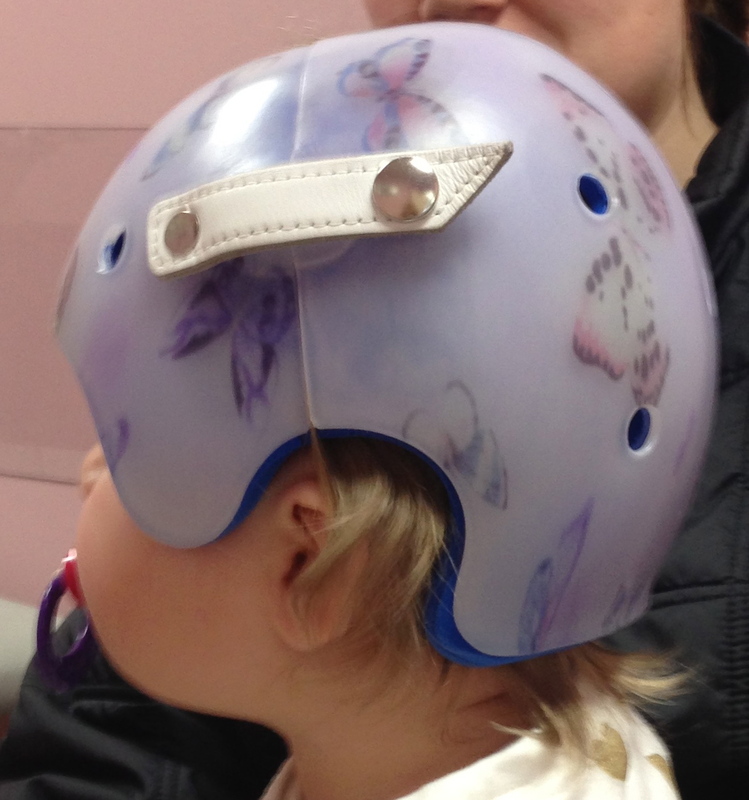 It is a good idea to have your infant wear a cap or hat before they receive their cranial remolding orthosis so they become familiar with the feeling of having something on their head. This often makes the transition to a cranial remolding orthosis a bit easier. Withing two weeks from the date of casting you will return for the orthosis fitting and delivery. The Orthotist will determine final trim lines, answer any questions, and provide you with specific instruction regarding wearing time, cleaning the orthosis, and follow-up appointments. Follow-up is an integral part of the treatment program for cranial remolding orthosis. In most cases, the infant will be seen within seven to ten days after the initial fitting and delivery. Additional follow-up visits take place at two week intervals for the first month, and at two to four week intervals thereafter. At each appointment the Orthotist will assess the fit of the orthosis, monitor changes in head shape, and may make adjustments to the orthosis to direct more symmetrical skull growth. Depending on the infant’s age, unique head shape, and response to the orthosis, follow-up appointments may be more or less frequent than those stated. You are encouraged to contact your Orthotist immediately if you have concerns about the fit, notice reddened areas that do not disappear within a reasonable amount of time, or feel that your infant needs an adjustment before the next scheduled appointment. On average, treatment programs with cranial remolding orthosis take approximately 8 to 16 weeks for infants between the ages of four and seven months. Older infants may require a longer treatment program because head growth slows after 12 months. Research indicates that the greatest symmetry can be attained through early intervention, although some correction may be possible in infants over 18 months. In order to achieve the best possible results the helmets are worn about 23 hours a day. They should be removed at bath time so that your infant’s head, and the helmet, can be cleaned. IMPORTANT: The orthosis should not be removed when your infant is sleeping as this will allow the head to rest on the area that is being treated. WHAT KIND OF ADJUSTMENTS CAN WE EXPECT THROUGHOUT THE COURSE OF OUR INFANTS TREATMENT PROGRAM? Cranial remolding orthosis are designed to make contact over the “high” spots, and leave voids over the “low” spots. This provides “direct Growth” of the head. Throughout the course of the treatment program, material (liners) may be removed to allow more growth in targeted areas. Pads may also be added in specific areas to further enhance the symmetrical or proportional growth of the infant’s head. In addition, the plastic material may be heated and recontoured as the shape of the head changes. PLEASE NOTE: After each adjustment, it will be important to closely monitor your infant’s head to make sure that it’s adapting well to the adjustments. HOW SHOULD THE ORTHOSIS FIT ON MY INFANT’S HEAD? During the first two weeks of treatment the cranial orthosis may shift around on your infant’s head, especially if your infant has a head shape that is asymmetrical. As the asymmetrical head adjusts to the more symmetrical shape rotation of the orthosis is not unusual at this early stage of the treatment. While this may require the caregiver to frequently reposition the band the orthosis may require an adjustment earlier than your scheduled appointment if the band rotates and blocks vision, rubs against either ear or if the infant presents with skin problems. After two weeks of 23-hour wearing time, any rotation should be minimal. REMEMBER: Contact your Orthotist with any questions or concerns anytime during the treatment process. HOW DO I CLEAN THE CRANIAL REMOLDING ORTHOSIS? The cranial orthosis can be cleaned with rubbing alcohol, L’Oreal Kids Shampoo (watermelon), or a germicidal soap. Wet a soft, non-abrasive cloth and vigorously wipe out the entire inside of the orthosis at least once a day. This will help to prevent bacteria from building up on the inner liner and will reduce the odour that is sometimes present. The infant’s head should also be washed daily with a mild soap or baby shampoo to soothe scalp irritation that can occur from a build-up of heat and perspiration inside the orthosis. WARNING: Use only 70% alcohol to avoid any harmful irritation to your infant’s skin and be sure that the orthosis is completely dry before putting it back on your infant’s head. HOW EFFECTIVE ARE THE HELMETS? Corrective orthosis generally produce excellent results, and have no known side-effects relating to head growth. Additionally, infants usually find these helmets comfortable, and tolerate the wearing of them well. 1. The orthosis should be removed every day for one hour, and should not be worn during swimming pool activities. 2. When the orthosis is off, the infant’s head should be checked for any skin problems. If there is skin irritation, such as red areas that remain for more than half an hour, or skin breakdown including, chaffing, peeling or bleeding, remove the orthosis and contact the Orthotist immediately. 3. Skin conditions should be evaluated every three to four hours for the first three or four days. In warm weather conditions the infant will perspire, if a heat rash develops, consult your family physician for recommended treatment. 4. Sleeping time is the most important time for the infant to wear the orthosis. This is when the reshaping from the pressure of gravity takes place as the head no longer has a flat place to lie on due to the orthosis. This helps to remodel the bone plates. 5. As the infant’s skull starts to remodel, you will notice that the orthosis seems to be bigger – this is to be expected. If it becomes an on-going problem, contact the Orthotist for re-evaluation. 6. If posotional plagiocephaly is associated with Torticollis, there may be some additional types of therapy needed. If the infant needs physical therapy or home neck exercises and stretching programs, remove the orthosis during therapy and replace it soon after the exercises.